This week’s ink is Diamine Ancient Copper. I get this ink in a 30 ml glass bottle. I actually appreciate Diamine for offering 80 ml glass, 30 ml glass and 30 ml plastic bottle options. It has a brown shade with hints of red. It reminds me of roof tiles. With a lot of shading and saturation. There is no feathering on standard copy paper. Since it is saturated, it is easy to read. Although it is not for official documents (I don’t know why we have this rule), it is optimal for daily use. On the other hand, it is not getting along well with water. It dissolves with water and washed away mostly. Therefore, it might not be wise to write your envelopes with it. Or you can put some transparent sticky tape over the writing on the envelope. 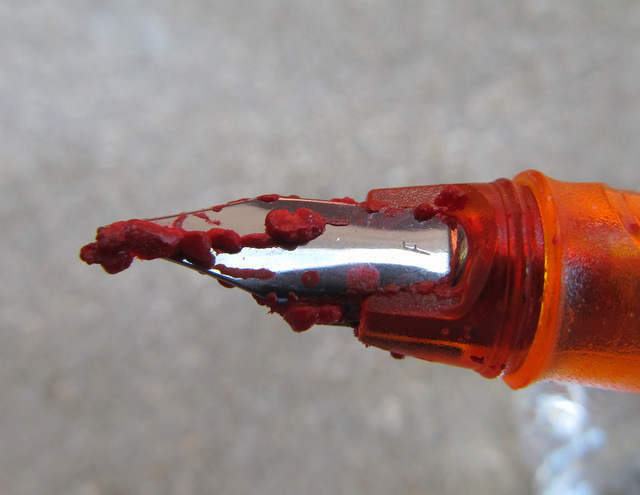 What is your favorite Diamine ink?